Principal: Density is defined as mass per unit volume of the liquid, the unit volume being the cubic centimeter (cm3) or the milliliter (ml). The term ‘specific gravity’ is the ratio of the density of a substance to the density of a reference substance84. The reference substance for solids and liquids is usually water. It is one of the most important criteria of the quality and purity of Fatty oil and fatty oil of all the physico-chemical properties, the specific gravity has been reported most frequently in the literature. Density or Sp. gr. of a substance is a temperature dependent property or factor. So it is generally increases or decreases with rise or fall of each degree of temperature. The specific gravity of fats or fatty acids at a given temperature in the solid state is higher than in the liquid state. The specific gravity of a saturated fatty acid is lower than that of the corresponding glyceride. The hydrogenation of a fat or fatty acid is lower than that of the corresponding glyceride. The hydrogenation of a fat or fatty acid lowers their specific gravity. 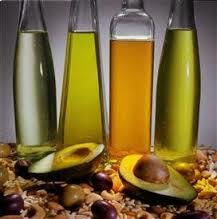 The density and specific gravity of fats and oils varies directly with molecular weight and unsaturation. Most of the conventional methods for measuring the density or specific gravity of liquids utilizing specific gravity bottle, pycnometer or the westphal balance are applicable to oils and liquid fats. When only small quantities of liquid are available, or where greater accuracy is required, the density of liquids is best determined by means of vessels of accurately defined volume, called pycnometer. The procedure described here for measuring the density of oils and liquid fats employed a pycnometer. The pycnometer was cleaned by filling it with a saturated solution of chromium trioxide in Conc. sulphuric acid (H2SO4) and allowed it to stand for at least three hours. The solution was removed from the pycnometer and rinsed with distilled water. Then it was dried completely and it was permitted to stand for 30 minutes. Then the empty pycnometer was weighed accurately by an electronic balance and it was filled with distilled water up to the mark and weighed. The pycnorneter was then dried and filled with sample oil to the previous mark and weighed again. The specific gravity of the Fatty oil was calculated by the following formula. The refractive index [h] of a substance is the ratio of the speed of light in a vacuum to the speed of light in the substance. The index of refraction of oils is characteristics within certain limits for each kind of oil. It is related to the degree of saturation but is affected by other factors such as free fatty acid content oxidation and heat treatment. This method is applicable to all normal oils and liquid fats86. It increases together with the increase of molecular weight of the fatty acid. It increases together with the increase of number of existing double bonds. For any simple glyceride it is higher than that of the corresponding fatty acids or oil. It increases when temperature increases by about 0.00038/°C. direction is changed. This change of direction is called refraction. The refractive index of a solid and liquid is conveniently determined when ray of monochromatic light passes from a less dense to a denser medium; it is bent or refracted towards the normal. Thus in figure if,(I) is the less dense and (II) the more dense medium, a ray of light passing from (I) to (II) will be bent so that the angle of refraction ‘r’ will be less than the angle of incidence ‘i’ ( i > r). If i > 900 the ray is totally internally reflected in total internal reflection occurred in the medium concerned. Various Refractometers are used for determination of refractive index. Such as Abbe Refractometer, Immersion Refractometer, pulfrich Refractometer, Hilgerchange Refractometer, Differential Refractomreter, etc. But the best determination of refractive index of oils and fats by Refractometer, the Abbe Refractometer is one of them, this instrument required only a few drops of liquid, and the refractive index can be read very quickly. The usual prism covers the range 1.30 to 1.70 with an accuracy of 0.0002. The instrument was placed in such a position that diffused day light or some form of artificial light (such as sodium light) can readily be obtained for illumination. The prism was cleaned carefully with alcohol and then with ether. The double prism was opened by means of the screw head and few drops of fatty oil placed on the prism. For solid fat the temperature should be suitably adjusted by circulating hot water. The prism was closed firmly by tightening the screw head. The instrument was allowed stand for few minutes before the reading was noted so that the sample and the instrument attained the same temperature. The alidade backward or forward was moved until the field of vision was divided into a light and dark portion by a line and this line appeared in the form of a band of colour. The screw head was rotated in such way that the colour band disappeared while a sharp colourless line was obtained. The reading was taken from the scale a second reading was taken a few minutes later to assure that temperature equilibrium was attained. The emerging beam of light having oscillation in a single plane is said to be plane polarized. When plane-polarized light is passed through certain solution of optical active substance, the plane of polarized light is rotated; the field of view appears alternately light and dark. A compound that can rotate the plane of polarized light is called optically active. This property of a compound is called optical activity. The prism, of which the light is polarized, is called the polarizer and the second prism by which the light is examined is called the analyzer. In order to obtain darkness, the analyzer has to be turned to the right, i.e. clock wise, the optically active substance is said to be dextrorotatory, and levorotatory when the analyzer must be turned to the left. By convention, rotation to the left is given a minus sign (-) and rotation to the right is given a plus sign (+). One complete rotation of the prism through 3600, there are two positions of the unalyzer,1800 apart, at which the field is dark, and similarly, two positions at which there is a maximum of brightness. ln determining the sign of the activity of a substance, one takes the direction in which the rotation required to give extinction is less than 90°. The length of the layer through which the light passes. The wavelength of the light employed (The shorter the wavelength, the greater the angle of rotation). In order to obtain a measure of the rotator power of a substance, these factors must be taken into account and one then obtains the specific rotation. Most Fatty oil when placed in a beam of polarized light rotates the plane of polarized light to the right (dextrotatory) or to the left (laevorotatory). The extent of the optical activity of oil is determined by a polarimeter. a = Observed angle of rotation in degrees. About 0.5g oil or fat materials was dissolved in 50ml chloroform to prepare 1% solution. The solution was put to a polarimeter tube so that no bubble remained in it. The light source was so adjusted that when the analyzer is at zero position the field appears bright. The analyzer was then rotated until the field was uniformly bright. This was the zero point of the instrument. This was determined by approaching from either side several times and the means of the reading were taken. As several industrial processes are based on the property that fatty acids and fats have of dissolving property in some solvents, it is important to know how these oily substances to behave when they come into contact with these solvents. The most widely used solvents are hexane, isopropyl alcohol, acetone and water. Introduce Exactly 1 cc of the oil into a test-tube, and was added slowly in small portions of alcohol (10 drops : I volume) of proper strength. The cylinder was shaking thoroughly after each addition. When a clear solution is first obtained, recorded the strength and the number of volumes of alcohol required was recorded. The addition of alcohol until 10cc has been added. If opalescent or cloudiness occurs during these subsequent additions of alcohol, record the point at which this phenomenon occurs. In the event that a clear solution is not obtained at any point during the addition of the alcohol, the determination was repeated, using an alcohol of higher strength. The solubility test of fatty oil was carried out in a test of solvent like alcohol, Chloroform, CCl4, Pet-ether, n-Hexane, Diethyl ether of the fatty oil was determined at the same procedure. Solubility .in alcohol of different strength of mentioned in Table-4.6. Insoluable in n-Hexane and Distilled water at any volume. Soluable in Alcohol, Chloroform, CCl4, Pet-ether, Diethyle ether at any volume. The characteristic colour of most oils is predominantly a mixture of yellow and red it is due primarily to the presence of pigments of a carotenoid type. Other colour like blue, green and brown are also not uncommon. Iodine value is expressed in gm of iodine absorbed by 100 gms of oil or fat. It gives the indication of degree of unsaturation of the constituent oil and is thus a relative measure of the unsaturated bonds present in the oil. The iodine value is a characteristic of oil. Unsaturated compounds absorb iodine (in soluble form) and form saturated compounds. One double bond absorbs one molecule of iodine. The amount of iodine absorbed in percentage is the measure of unsaturation in the oil. Oils are classified as drying, semi- drying and non-drying on the basis of iodine value. The use of iodine numbers for the evaluation of Fatty oil has never attained practical significance. It has been shown frequently that the iodine numbers of many Fatty oil nary with the size of sample as well as with the period of contact with the reagent. Of the many procedure that have been proposed for determination the Iodine value four methods are better known than all others. These are the methods of Wijs and Hanus, Hubl and Rosenmund, Kuhnuhenn method. The Wijs and Hanus method, especially the former, is the most widely used of all. The International union of pure and applied chemistry approved wijs, Hanus and Hubl methods for the iodine value determination. The iodine value of sample oil was determined hcre by using Hanus method. taken in liter of volumetric flask and it was diluted up to the mark with distilled water. Two or three drops of chloroform added to it. The solution must be stored in amber or yellow glass Stoppard bottle. As Na2S2O3 is not a primary standard substance. It must be standardized by potassium dichromate (K2Cr2O7) solution that is a primary standard substance. 1.2259g of K2Cr2O7 is required to prepare 0.lN K2Cr2O7 Solution in 250m1 water. So, 1.2487 g of K2Cr2O7 was taken in 250 m1 volumetric flask and it was diluted up to the mark with distilled water. About 15 g of dry A.R. potassium iodide was weighed out and then it was dissolved in l00ml of distilled water in the titration vessel. It was stored in amber colour glass Stoppard bottle. 1 gm of soluble starch was poured in 100 m1 of distilled water and stirred rapidly. It was heated till boiling and kept on boiling I minute. The solution was allowed to cool and 2-3 g of potassium iodide (K1) was added. For long storage 1.0 g of boric acid was added and taken a clear solution from it. The solution was kept in a Stoppard bottle and preserved in a refrigerator at 4° to 10° C.
13 g of pure resublimed iodine was added to glacial acetic acid by warming over water bath. When the iodine was completely dissolved the solution was cooled and diluted to 1000 ml with glacial acetic acid. Now 3 ml of pure (sulfur free) Br2 was added to the solution stored it in amber colour Stoppard bottle. The whole operation was conducted in a fume hood. Acetic acid has a relatively high temperature coefficient of expansion so that blank titration made at different periods of the day may vary significantly due to changes in temperature within the laboratory. l0 ml l5% potassium iodide (KI) solution, 2 g of sodium bicarbonate (NaHCO3) were taken in a 500 m1 Stoppard conical flask and l00 ml of distilled water was added in it to dissolve the solids. Then 6ml of concentrated HCI added. 10 ml of 0.1 N K2Cr2O7added to the conical flask. The conical flask was kept in a dark room for fifteen minutes. The solution , became deep brown in colour. Then 200 ml of the distilled water was added to the solution. Earlier sodium thiosulfate (Na2S2O3)solution was taken in a burette.Titration was carried out by adding sodium thiosulfate (Na2S2O3) solution from burette to the solution kept in conical flasks. When deep brown colour changed into yellowish green colour, then 1 ml starch solution was added. The colour quickly changed into deep blue, at this stage titration was carried out with special care by adding sodium Thiosulfate (Na2S2O3) solution drop by drop. At tl-re end point the colour of the solution changed greenish blue to light green. About 0.5 gm of fatty oil was taken in a well Stoppard conical flask. The oil was dissolved in 10 ml of chloroform. 25 ml of Hanus solution was added to the Stoppard conical flask from a pipette and the solution was allowed to stand for half an hour in dark place with occasional shaking. At the end of this period, 100 ml of distilled water was added followed by 10 ml of l5% KI solution. The solution was titrated with standard 0.1 N Na2S2O3 solutions. The sodium thiosulphate was gradually added with constant shaking, until yellow colour of the solution was almost disappeared. Few drops of starch solution were added and the titration was continued until the dark violate colour was entirely disappeared. The blank determination was also carried out observing the same condition but omitting the oil. Saponification is the conversion of glycerol or ester into soap. This term is often used to describe the hydrolysis of any ester by alkali. From the study of the composition of oils and fats, it becomes apparent that proportion and nature of different fatty acids differ in various oils and fats. As the amount of alkali required to saponify a given amount of oil depends upon the molecular weights of the fatty acids present in the oil or the fat. The saponification value tells us whether and oil of fat contains lower of higher proportion of same fatty acids and also whether it contains high proportion of lower fatty acids or higher fatty acids. required to saponify one gram of oil or fat. This and the neutralization value are measures for determining the average molecular weights of fatty substances. This method depends on the reaction expressed by this equation. Saponification is done by excess of alcoholic potash on a given weight of oil or fat boiling under reflux and the excess of KOH neutralized by standard acid. The amount of potash necessary to saponify the given amount of oil was thus determined. e) 0.1 % Methyl orange indicator. a) Preparation of 0.5 N Na2CO3 Solution:Analytical reagent quality sodium Carbonate (Na2CO3.10H2O) of 99.9% purity is obtained commercially. This contains a little moisture and must be dehydrated by heating at 260°-270°C for half an hour and allowed to cool in desiccators before use. Equivalent weight of Na2CO3 is 53. 20.82 ml conc. HCl (l2N) was taken from Burette in 500 ml volumetric flask and it was diluted up to the mark with distilled water. l0 ml of 0.5 N Na2CO3 solutions was taken in a conical flask with the help of pipette. 50 ml distilled water and few drops of methyl orange added to the solution and the solution became yellowish colour. 0.5N HCl was taken in a burette. HCI added drop wise into Na2CO3 solution. At the end point of titration the colour of the solution became rosy colour. Titration was carried out exactly three times. The results are tabulated as follows. 15 g of KOH pellets was dissolved in 8ml of distilled water and the solution was mixed with 500 ml of 96% (v/v) ethanol. The solution was allowed to stand for several hours. The clear supernatant liquid was filtered off and the filtered solution was kept in amber coloured bottle at dark place for further use. Using phenolphthalein indicator, the Strength of KOH was determined by titrating it (KOH) by 0.5 N HCI Solution. About 0.5 g of Oil or fat was taken into a 250 ml quick fit round bottom flask of Pyrex glass (alkali resistant). Exactly 25 ml of 0.4606 N alcoholic KOH solutions added into the flask and the reflux condenser was connected to the R.B flask the flask kept in a boiling water bath and boiled until the oil was completely saponified. The saponification was carried out for t hour with occasional shaking. The condenser was washed down with a little water 0.5 ml of 1% alcoholic phenolphthalein indicator was added and the warm soap solution was titrated with 0.5 N aqueous HCl acid solution. The blank titration of the alcohol KOH solution was carried out at the same condition. The difference between the volumes of HCl required in the two titration will correspond to the amount of alkali used in the saponification. Where, B = ml of 0.5 N HCl required for blank. The peroxide value is the number of mili-equivalent of active oxygen that expresses the amount of peroxide contained in 1000 g of the substance or peroxide oxygen per 1 kilo-gram of fat or oil. The sample is treated with potassium iodide and the iodine which was liberated by the peroxides was treated with sodium thiosulphate solution. The Peroxide value of an oil or fat is used as a measurement of the extent to which rancidity reactions have occurred during storage. Other methods are available but peroxide value is the most widely used. The double bonds found in fats and oils play a role in autoxidation. Oils with a high degree of unsaturation are most susceptible to autoxidation. The best test for autoxidation (oxidative rancidity) is determination of the peroxide value. Peroxides are intermediates in the autoxidation reaction. Autoxidation is a free radical reaction involving oxygen that leads to deterioration of fats and oils which form off-flavours and off-odours. Peroxide value, concentration of peroxide in an oil or fat, is useful for assessing the extent to which spoilage has advanced. The peroxide value is determined by measuring the amount of iodine which is formed by the reaction of peroxides (formed in fat or oil) with iodide ion. Note that the base produced in this reaction is taken up by the excess of acetic acid present. The iodine liberated is titrated with sodium thiosulphate. The indicator used in this reaction is a starch solution where amylose forms a blue to black solution with iodine and is colourless where iodine is titrated. Correlation of rancid taste and peroxide value depends on the type of oil and is best tested with taste panels. The odours and flavors associated with typical oxidative rancidity are mostly due to carbonyl type compounds. The shorter-chain aldehydes and ketones isolated from rancid fats are due to oxidative fission and are associated with advanceed stages of oxidation. The carbonyl-type compounds develop in low concentrations early in the oxdative process. Traditionally this was expressed in units of milliequivalents, although if we are using SI units then the appropriate option would be in millimoles per kilogram (N.B. 1 millimole = 2 milliequivalents). Note also that the unit of milliequivalent has been commonly abbreviated as mequiv or even as meq. Chloroform-Acetic acid solution with the ratio of 2: 3. The equivalent weight of sodium thiosulphate penta hydrate (Na2S2O3.5H2O) is 248. So, 24.8gm of A.R. crystallized sodium thiosulphate pentahydrate (Na2S2O3.5H2O) was taken in liter of volumetric flask and it was diluted up to the mark with distilled water. Two or three drops of chloroform added to it. The solution must be stored in amber or yellow glass Stoppard bottle. 1.2259g of K2Cr2O7 is required to prepare 0.lN K2Cr2O7 Solution in 250m1 water. So, 1.2487 gm of K2Cr2O7 was taken in 250m1 volumetric flask and it was diluted up to the mark with distilled water. About 15 g of dry A..R potassium iodide was weighed out and then it was dissolved in 100ml distilled water in the titration vessel. It was stored in amber colour glass stoppard bottle. 3 g of potassium iodide (K1) was added. For long storage I g of boric acid was added and taken a clear solution from it. The solution was kept in a Stoppard bottle and preserved in a refrigerator at 4° to 10° C.
30 ml acetic acid and 20 ml chloroform was added in a 100 ml cylinder. 100 ml distilled water was taken in a clean beaker. Gradually KI was added. At this time heat was applied for dissolving. As long as KI was dissolved in water further KI was added. Soon it was seen that no potassium iodide was dissolving in water any way. This was saturation point of KI then KI addition was stopped. 0.5 gm of sample was placed in a 250 ml glass Stoppard conical flask. 7.5 ml of Chloroform-Acetic acid 2:3 solution added and shaken until the sample was dissolved. Then 0.25 ml of saturated Potassium iodide (KI) solution and few drops of conc. HCl also added to it. Then the solution had been shaken for at least 1 minute. 15 ml distilled water was added to the solution and it was titrated carefully with 0.055 N Sodium thiosulphate solutions until the brown colour was faded to pale yellow. 0.5 ml of starch solution was then added and the titration was completed with continuous shaking when the blue colour just disappeared at the end point. Table-4.27: Titration data for peroxide value of Gossypium hirsutum L.(cotton seed,fatty oil.